Chemical injuries can be tricky to source since the impairment is not always immediately evident or traceable. Working around chemicals carries more risk and necessitates solid safety policies by any business. When you’ve been burned as a result of an unsafe environment or poor industry practices, it may be worth consulting a personal injury lawyer or work injury attorney to discuss your options. Usually the immediate response to a toxic chemical workplace injury is a workers’ compensation claim. A civil lawsuit may be appropriate in some instances, but not all. Each state has its own laws regarding handling toxic chemicals, so we understand that each case is unique. We are prepared to handle the intricacies imminent with each personal case. You have the right to workers’ comp benefits if you’ve been injured by toxic chemicals at the workplace. You must simply prove that you were exposed to hazardous chemicals while at work and that you were injured as a result of that exposure. Other steps that may improve your chances of success include filing the claim immediately, recruiting witnesses, and reporting the claim to your employer and your healthcare provider. You may be eligible for benefits like disability if you’ve incurred a permanent injury, retraining if you must find a new job, and payments while you are recovering and unable to return to work. Claiming workers’ comp for afflictions caused by hazardous chemical exposure is trickier than in other work injury cases. Measuring the difficulty of proving the source of the chemical injury begins with the affected area. For instance, respiratory problems have a plethora of potential causes and can be very difficult to trace back to a single incident of toxic chemical exposure. Lead – old buildings built prior to the 1980s may have lead-based paint. Certain select drinking water, dishes and utensils, cosmetics, and hobby material might contain lead. So might facilities that make pottery, ceramics, batteries, and rubber/plastic products. Pesticides – food and drinking water can contain pesticides. This substance can be absorbed through the skin and inhaled while working with products containing pesticides in someone’s yard or home. If you work for services like pest control, swimming pool repair or landscaping, you are at higher risk of exposure. Asbestos – industries most likely to suffer asbestos exposure are mining, construction, and any service working with asbestos in old buildings. Mercury – contaminated air at work from spills or incinerators can lead you to breathe this toxin. Benzene – exposure can come from furniture wax, detergent, glue, or paint. Cigarette smoke is a prime source. Occupations at higher risk of excessive exposure include firefighting, pharmaceuticals, lab technicians, gas stations, rubber tire production, printing, steel working, and petrochemical facilities. Cadmium – a plethora of industrial sites like metal pouring, gas welding, battery production, soldering, steel welding, and textile printing have a higher risk factor. So does glassblowing, painting, jewelry making, ceramics, and photocopying. Solvents – products that may cause exposure to solvents are refrigerants, paint, adhesives, ink, coatings, and printed circuit boards, just to name a few. Those who work in textile production, hospitals, asphalt paving, agriculture, printing, and dry cleaning are at higher risk of toxic injury involving solvents. Silica – found in many substances commonly seen in construction working, masonry, landscaping, or any other industry involving disruption of natural earth like granite and sand. Acids – there are many different types, and are most commonly found in industrial work sites. Beryllium – at highest risk of exposure are metal workers, sports goods manufacturers, electronics applications, and material extraction. Some chemicals are subject to strict liability laws, meaning the seller, distributor, or whoever provided the product is always liable for any personal injuries resulting from exposure to that toxic chemical, no matter the behavior of the afflicted individual at the time of the accident or how careless the worker was with said chemical. 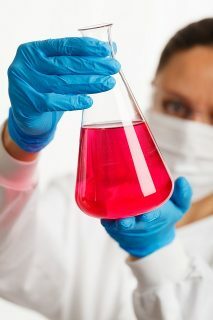 This option has limitations, so you may need to consult a workplace chemical injury lawyer first. Employers of any business should always follow the U.S. Occupational Safety & Health Administration’s (OSHA) standards and set forth rigid guidelines for handling and storing dangerous chemicals. Check out their Hazard Communication Standard (HCS) page for accurate and up-to-date information regarding hazardous chemical exposure at work as well as the most recent official protective measures. Protect yourself from workplace chemical injuries. There are lots of technicalities in toxic chemical injury claims. An expert in torts and personal injury law is essential to have at your side. We are toxic chemical exposure tort lawyers dedicated to getting you the benefits you deserve in the wake of a workplace accident that incites an unavoidable drop in productivity, leaves you in pain, and undermines your ability to work. 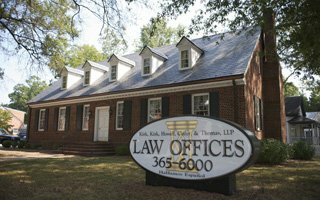 Call Kirk Kirk Law today to jumpstart your journey to recuperation and peace of mind.